The underrated Microsoft Zune is often mocked by people who’ve never seen the device; yet the music lovers, lucky enough to have experienced the media player, fondly remember it for its groundbreaking ecosystem which was way ahead of its time. I got my first MP3 player a full year before Napster came out and have owned a wide variety of media players ever since, from Diamond/Rio to Apple with a couple of Creative Labs and RCA devices in between. I have witnessed the evolution of these devices so naturally when Microsoft taunted its iPod killer, I was intrigued to see what they would come up with. The Zune media player was released in 2006 just in time for my birthday and I was very lucky to get a 30Gb White one as a present. I didn’t think much of it at the time, of course the device didn’t live up to the hype and felt like a too-little-too-late effort to compete with the iPod. After a couple of pretty significant firmware upgrades, it was very clear that Microsoft had something different in mind, that it was more than just an iPod clone. As the social features and the Zune pass became part of the experience, the device quickly became part of a bigger ecosystem that I loved so much that later on, I purchased a couple more: I got a smaller 8Gb 2nd generation device as well as a 4th generation 64Gb Zune HD. Looking back, it is clear to me that Microsoft and Apple clearly had two different philosophies: where the iPod/iTunes ecosystem was made for people to purchase music, the Zune ecosystem was first and foremost made for people to listen to music. 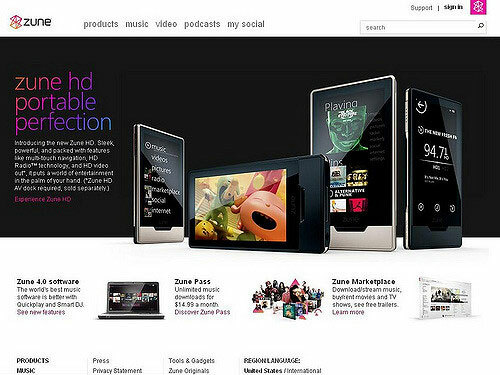 People dismissive of the Zune and its software really have an inaccurate recollection of history: not only did the device design and user interface have its own merit but the Zune software was on design standpoint leagues above iTunes which, granted, has never been a visually appealing software yet at the time was really a hodge podge. Many visual cues that where staples of the Zune software a decade ago are now standards of Apple’s software. The biggest reproach I can make to Microsoft about their media player is the fact that it was not supported by Windows Media Player; instead the Redmond company forced you to download a separate Zune software. The standalone application wasn’t sharing libraries with the media management tool native to Windows which implied that only metadata was often lost when importing a music collection. This major flaw is easily forgiven, especially as Windows Media Player could never have been able to handle the social features like friends and shared playlists management the way later iterations of the Zune software could. 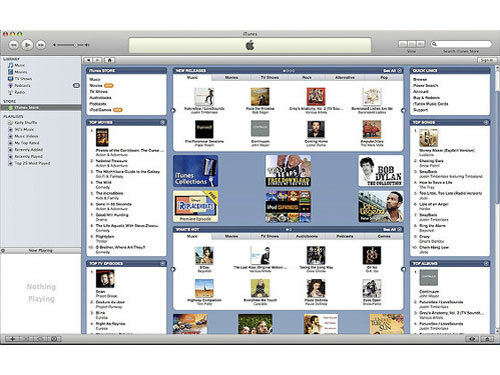 This is what iTunes looked like back then; the ugly interface of Apple’s software was still looking like a glorified excel spreadsheet; a stark contrast from the design expected from the Cupertino firm. Meet the Zune software; already it’s clear that the user interface was well thought out for its time with sized elements flowing the content in a very clean, attractive, and user friendly manner. 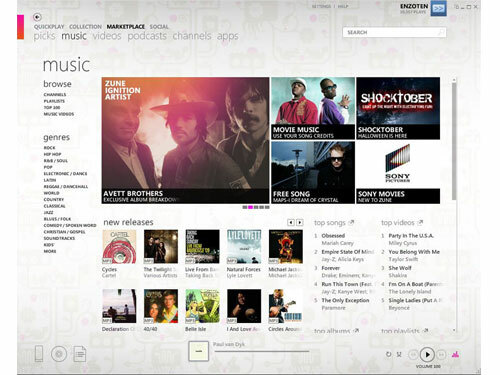 On top of the eponymous software; Zune users could also purchase and stream music and videos on the Zune Marketplace website which, to this day, is a convenient feature still not offered by Apple. Every time I listen to people comparing the Zune to its Apple counterpart, they always remain in the realm of the hardware, which really shows a lack of understanding: what made the Zune so special to its users was its very social software. The Social was a network fostering discoverability of music with a tremendous set of social features; this, is at a time when Facebook only had 50 million users. Discovering new music based on what others with the same taste where listening to, and making friends based on the common appreciation for a musical genre or artist while earning badges for consuming content and having an eclectic musical taste was truly unique. The most overlooked feature is really what made it so amazing: the Social was to the Zune what Xbox Live is to the Xbox; it helped discover artists and friends based on musical taste; it even had achievements! Did you know that while listening to music you could, from your player, browse and see what your friends were listening to, download their playlists, and even share with them your favorite songs? 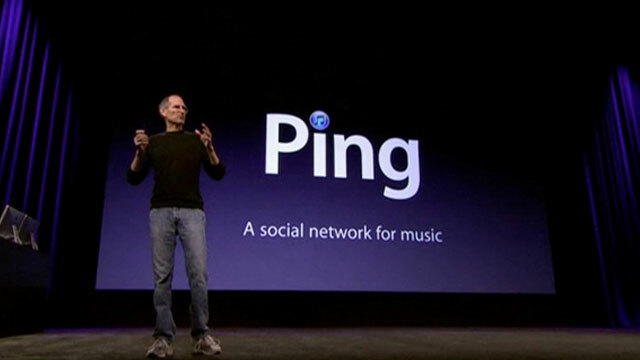 The groundbreaking Social had been implemented for a few years before Steve Jobs himself announced iTunes’ knock off Ping which is one of Apple’s biggest failure of the last decade. One of the most impressive things the Zune has done for me personally, is convincing me to buy music again. This might sound weird but for someone who hasn’t purchased any music since before the Napster days, the Zune Pass was such a compelling offer that it was hard not to be interested. While it would cost on average $29,700 to fill an 120Gb iPod of music legally purchased on iTunes (based on 192Kbps encoding and $0.99 per track), it only cost $9.99 per month to fill a 120Gb Zune media player and this isn’t counting extra perks. The Zune pass was launched years before any competitor with a similar offering came on the North American market. 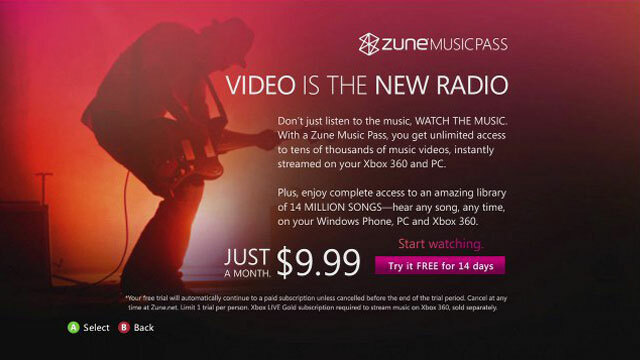 Simply put, for $9.99 a month, not only you could have your Zune media player filled with music but on top of legally owning 10 songs every month, you could also get unlimited access to tens of thousands of music videos that you could stream on several devices. 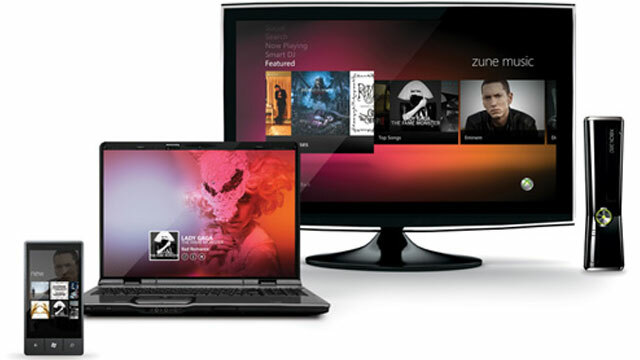 The pass allowed its holders to stream unlimited music and music videos to the Zune, as well as, computers, Xbox 360s, and even Windows Phones later on. This years before the launch of Spotify and Google Music; it was truly a unrivaled ecosystem at the time. 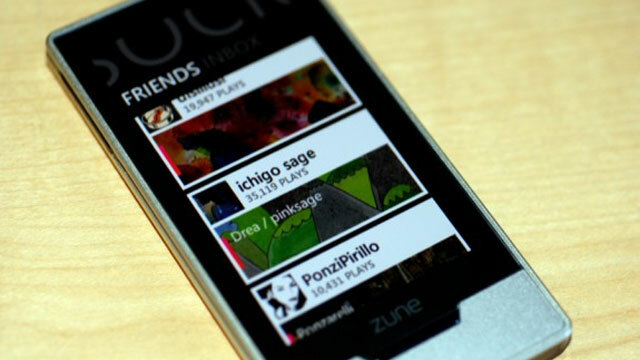 Full disclosure: I have worked with Microsoft on several occasions but have never dealt with the Zune brand. 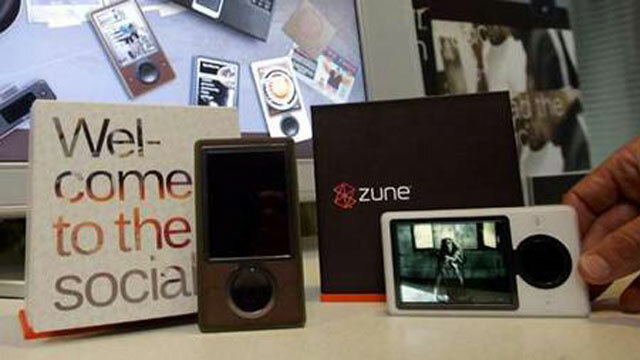 As far as I know, I have no personal relationship with any member of the Zune team or anyone who ever was part of it. I am writing this article as a music lover who, as previously mentioned, got his first Zune as a birthday present and purchased his two other devices with his own money.